American orbital launch vehicle. 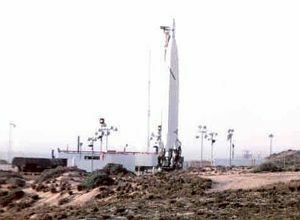 Thor DM-18A with 'Burner' upper stage solid rocket packages used for launch of classified payloads. Status: Out of production. Payload: 770 kg (1,690 lb). Thrust: 667.20 kN (149,993 lbf). Gross mass: 51,810 kg (114,220 lb). Height: 24.00 m (78.00 ft). Diameter: 2.44 m (8.00 ft). LEO Payload: 770 kg (1,690 lb). Flyaway Unit Cost 1985$: 11.890 million. Stage 2. 1 x Burner 2. Gross Mass: 774 kg (1,706 lb). Empty Mass: 116 kg (255 lb). Thrust (vac): 43.551 kN (9,791 lbf). Isp: 285 sec. Burn time: 42 sec. Isp(sl): 220 sec. Diameter: 0.66 m (2.16 ft). Span: 0.66 m (2.16 ft). Length: 0.84 m (2.75 ft). Propellants: Solid. No Engines: 1. Engine: Star 37. Status: Out of Production. 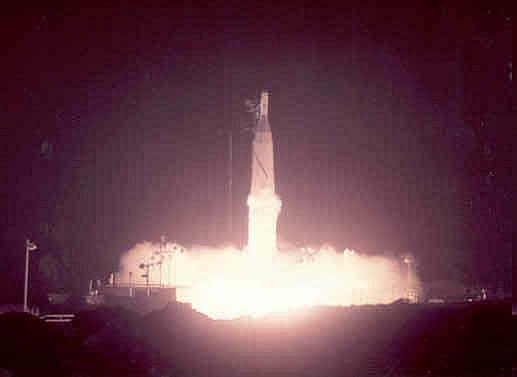 Burner II was a launch vehicle upper stage developed by Boeing for the Air Force Space Systems Division. 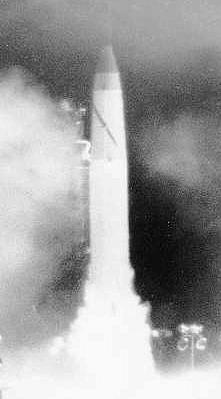 It was the first solid-fuel upper stage with full control and guidance capability developed for general space applications. Burner II was designed for use with the Thor booster, but was readily adapted for use on the complete range of standard launch vehicles. Its general assignment was to place small- and medium size payloads into orbit. The Burner II motor, guidance system and reaction control system were integrated to provide attitude stability and precise control of flight rate and burnout velocity for orbital injection and earth-escape missions. Boeing had delivered 8 flight vehicles under its original contract. Under terms of a follow-on contract, it built 6 additional flight models. 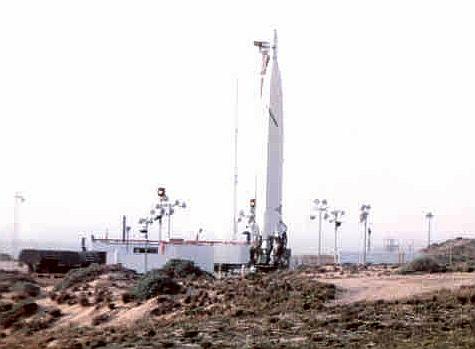 Four Thor-Burner II combinations were launched successfully from Vandenberg Air Force Base, California. The third launch placed 2 unclassified satellites in Earth orbit. A SECOR satellite, built for the U.S. Army Corps of Engineers by the Cubic Corporation, and an Aurora satellite, developed by Rice University for the Office of Naval Research, were placed in circular orbits 3,300 km above the Earth. As integration contractor for the Air Force Space Experiment Support Program (SESP) Office, Boeing designed, built and tested the injection stage, or "payload dispenser," which carried the 2 satellites on top of a standard Burner II stage and placed them in precise orbits. The satellites were mounted on opposite sides of the injection stage, which housed a640 kgf thrust, solid-propellant rocket motor. The Burner II was used as an upper stage by NASA for deep space probes. Prime Contractor: The Boeing Company. Major Subcontractors Thiokol Chemical Corporation (solid rocket motor); Honeywell Inc. (pre-programmed inertial guidance system); Walter Kidde Co. (reaction control system). Family: orbital launch vehicle. Country: USA. Engines: LR79-7. Spacecraft: SECOR, Calsphere, DMSP Block 4A, Aurora, DMSP Block 5A, SESP, DMSP Block 5B, DMSP Block 5C. Stages: Star 37. Agency: Douglas. Thor Burner - COSPAR 1965-021. Launched from Vandenberg AFB on St. Patrick's day of 1965. Standing at the launch mount are SGT Lipscomb (deceased as of 2002) and SGT Stovall (still living in Lompoc, CA as of 2002)..
Pictures of the second Burner I launch (believed to be from launch pad 6). The first Burner I bird had a black second stage. This was an orbital launch with a permanent orbit, no recovery. I guess the thing is now space junk. A fully successful launch with all objectives met. 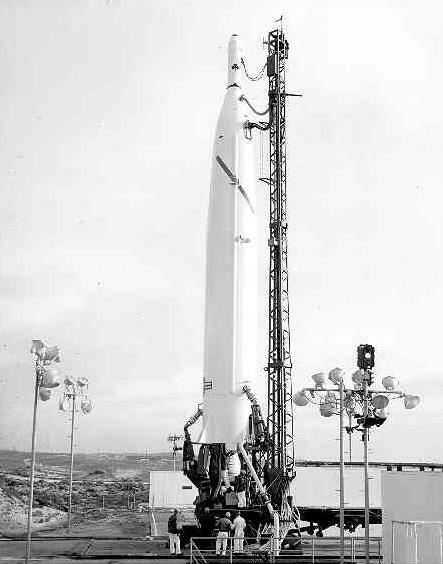 Launch date was Thursday, March 17, 1965 sometime between 2100hrs and 2105hrs Vandenberg time. The night launch time of 2100 hrs with a 5 minute launch window was the same for both the first and second Burner I launches. 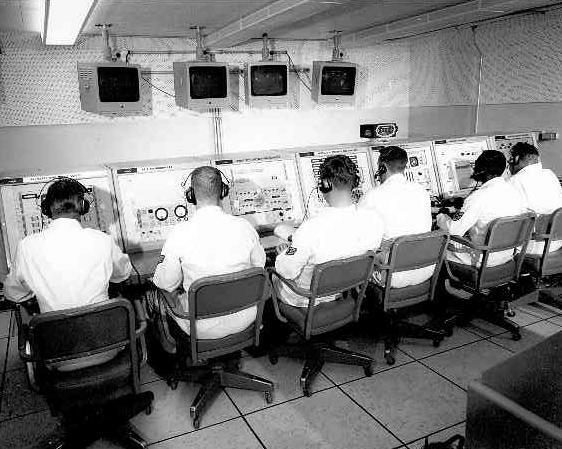 Inside view of the Thor Burner I program block house looking at the launch control consoles (ca 1965).